Christmas 2011. Stockings filled with smartphones hang by the chimney with care. Most people are excited to spend Christmas Day sharing gifts and time with their families. But for Alexis, it’s a different story. The newest iPhone has just launched. And that means that Alexis will spend the day working at her previous job – a telecommunications company – as a customer service representative, spreading merriment and good cheer to all of the customers who call the service center asking for help with their new devices. It’s Alexis’s first year as a mom. And unfortunately, it’s her first Christmas without her son, Gavan. Alexis worked Christmas Day and every holiday thereafter, missing a lot of her son’s special “firsts.” She knew she needed a change. In April 2013, Alexis made a switch. She began her career as a customer service professional in the Blue Cross and Blue Shield of North Carolina Durham office. A single mom at the time, Alexis was most looking forward to the newfound flexibility she’d heard about in her conversations with management during the interview process. Robin Miller, BCBSNC vice president of people strategies, applied to BCBSNC for similar reasons in 1994. It wasn’t long before Alexis fully embraced the flexible work options. 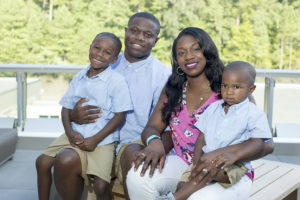 She moved to Fayetteville in January 2014, where her newlywed husband and active-duty service member was stationed in Fort Bragg. After making the long trek, commuting to Durham every day for a couple months, she talked to her manager about working from home full time. In her role at the time, working from home was a viable option. And she enjoyed it for almost a year. Now that Alexis has been promoted – her third promotion since starting at BCBSNC – to a customer solutions and performance analyst, she is in the Fayetteville office most days. And being at the office hasn’t lessened her zeal for working from home. Alexis has become an empowering enthusiast for other working moms. She openly shares her work-from-home struggles and joys with others who are considering making the leap as well. 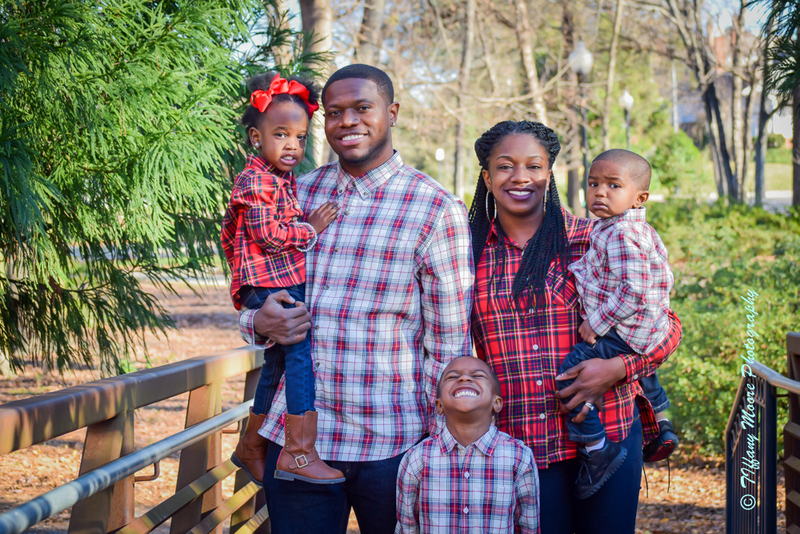 Now mom of two, stepmom to one, and an Army wife, Alexis credits open and honest communication with her leaders and her supportive husband for allowing her to be her best at work and at home. “The flexibility is one of the things I value most,” Alexis says. That flexibility is something that Jon Brooks-Fox, workforce engagement specialist at BCBSNC, is passionate about. Jon understands that work life and real life overlap. She finds great joy in helping employees and leaders be the best they can be by connecting them to the right resources. Whether employees are caring for elderly parents or returning from maternity leave, Jon is there to make sure they have everything they need to make their transitions and day-to-day experiences as smooth as possible. Even during the storm of our Annual Enrollment Period in early 2016, Alexis was able to be there for our customers, for her church, and her family. A very different story from five years ago when she was feverishly taking customer calls on Christmas Day. It’s funny how things in life come full circle. Alexis, who applied to work with us when she saw the Working Mother 100 Best Companies award on our website, is our 2016 Working Mother of the Year. And in that moment when she shared the new with her husband and three children, she felt so proud to see the excitement on their faces.